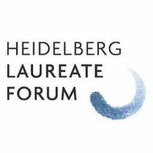 The winners of the most prestigious awards in Mathematics and Computer Science, the Abel Prize, the Fields Medal (including the Nevanlinna Prize for contributions in “Mathematical Aspects of Information Science”), and the ACM Turing Award are invited to participate in the Forum. 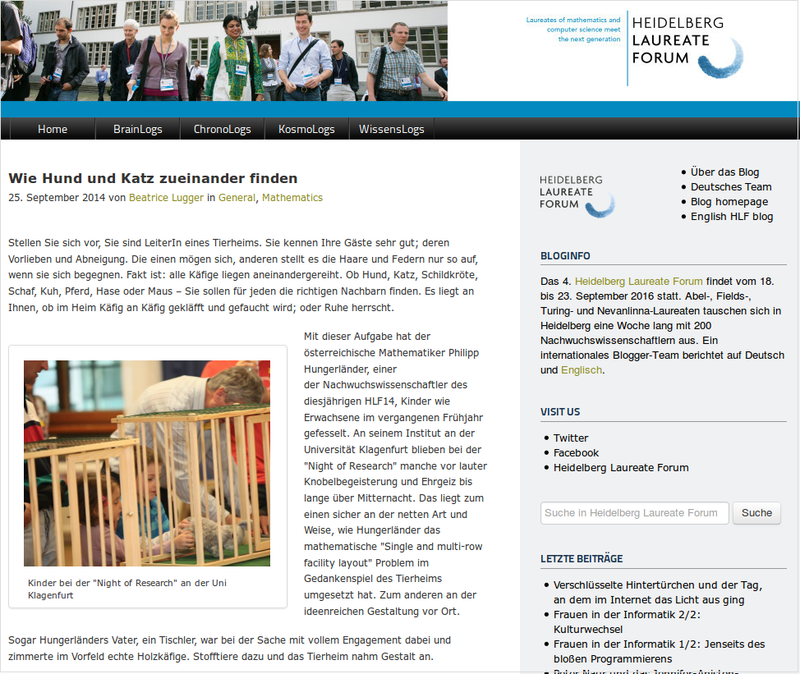 Each year the Scientific Committee of the Heidelberg Laureate Forum Foundation decides on a topical focus for the upcoming forum. 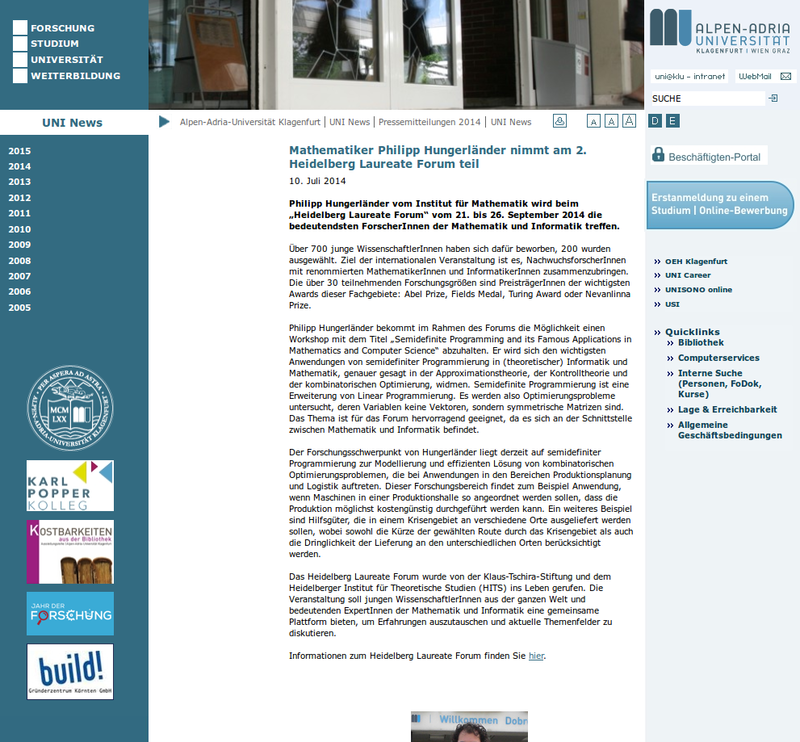 This is done in close communication with the laureates. Once the focus has been defined, applications from young scientists for participation in the forum are solicited. 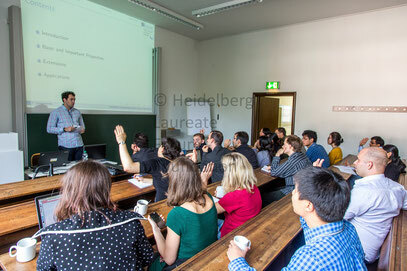 The first phase of the application process is primarily handled by the award granting organizations, supported by the Heidelberg Institute for Theoretical Studies, Mathematisches Forschungszentrum Oberwolfach and by Schloss Dagstuhl – Leibniz Center for Informatics. The candidates proposed by these organizations will be reviewed by the Foundation’s Scientific Board, which will make the final decision. 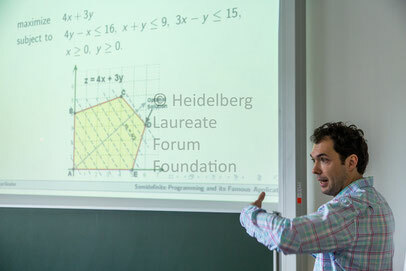 "Philipp Hungerländer had the possibility to hold in the framework of the Forum a workshop entitled "Semidefinite Programming and its Applications in Mathematics and Famous Computer Science". He expounded the most important applications of semidefinite programming in (theoretical) computer science and mathematics, more specifically in the approximation theory, control theory and combinatorial optimization. Semidefinite programming is an extension of linear programming. Thus, optimization problems are investigated, whose variables are not vectors, but symmetric matrices. 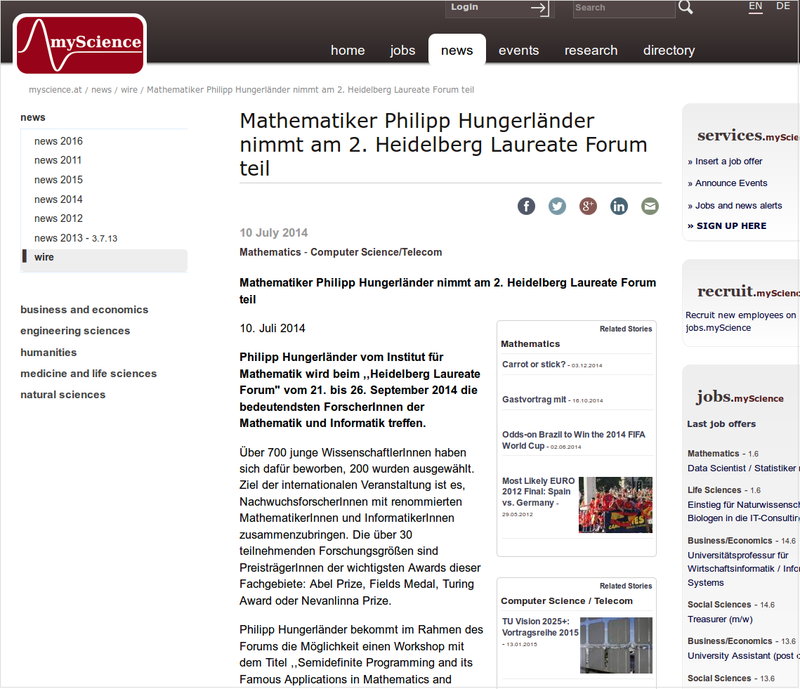 The theme is ideal for the forum, as it is located at the interface between mathematics and computer science."